My grandfather had an Aunt Lena. She was the younger sister of his father and 2 uncles. Jan (John) was the oldest of the siblings. Marinus (Martin) next. Leendert (Leonard and my gr. grandfather) was the 3rd son. Then Lena. I have been rather obsessed with finding information about Lena. She seems to have disappeared after the age of 18 and her story before that is heartbreaking. So I was understandably excited when I read about ‘Aunt Lena’ in my grandfather’s autobiography. Could this be the same Lena that I was looking for? Unfortunately, after extensive research, the evidence does not appear to confirm that. 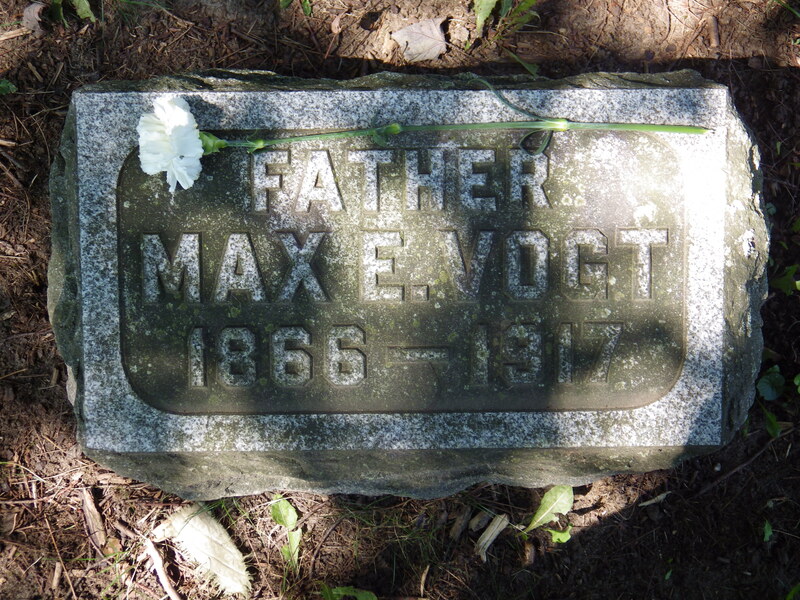 Grandpa wrote about Aunt Lena, wife of Max Vogt, and mother of Louise, Caroline, Gertrude, Carl, and Max. 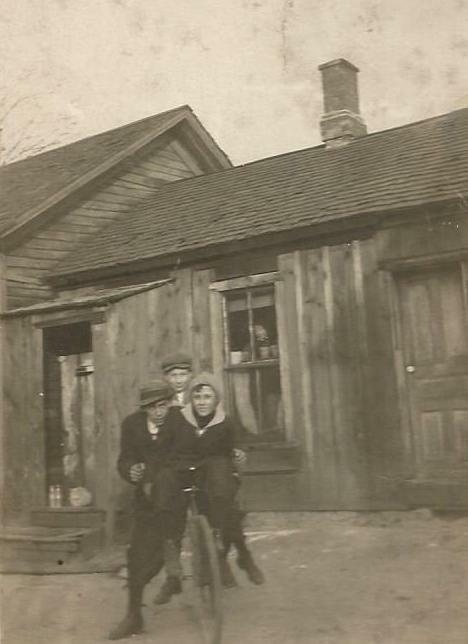 They lived on Cherry St. in Grand Rapids, Michigan. Grandpa’s sister Gertie (Gertrude) lived with the Vogt’s for a time and Grandpa apparently did also. He wrote about going to their house to give them sleigh rides and hunting for Easter eggs. 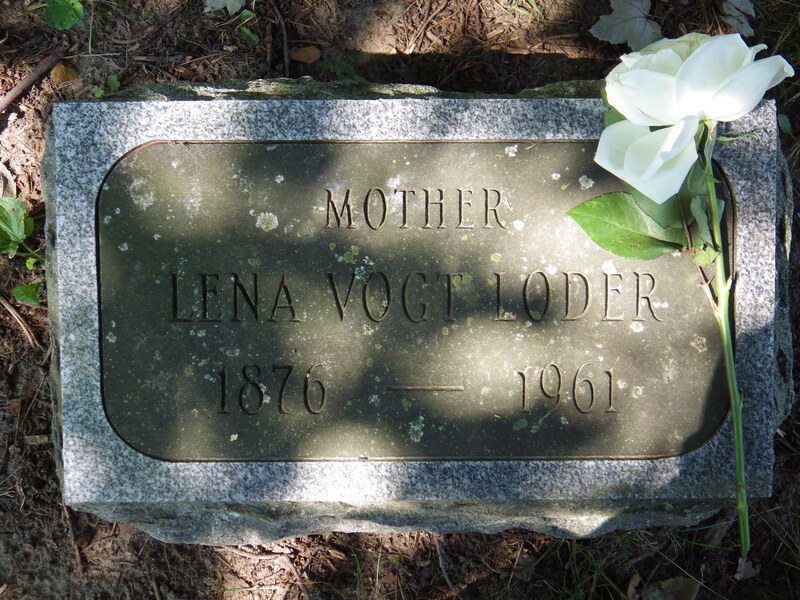 While I am disappointed that this Lena is not the relative I was looking for, I have chosen to include her and her family with our family genealogy. She apparently was a great influence on Grandpa and meant a lot to him to include her in his life story. Her biological family can be proud of this woman and how she help mould a good life for our ancestor and therefore future generations. I hope the information that I have found will be of help in their genealocial searches. naturally gravitated to each other because of that connection. 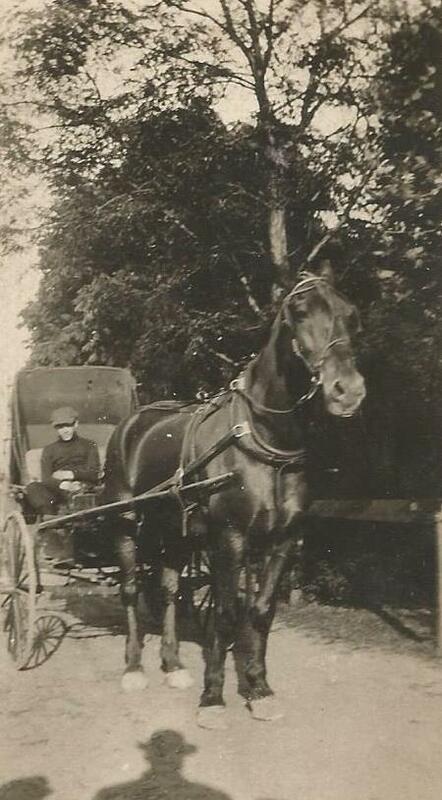 Lena was born to Lenhard* Brandau* and Elisa* Steller* February 1876 in Germany. The Brandaus immigrated to the United States in 1884 according to the 1900 census. The 1891 Grand Rapids City Directory shows Lena Brandau working as a bookbinder for A J Tucker and boarding at 533 Ottawa. (Father) Leonard Brandau was also a bookbinder residing at the same address. Husband Max died in 1917. Lena remarried April 16, 1918 to Martin Loder. Martin died February 26, 1959. Lena died April 25, 1961. 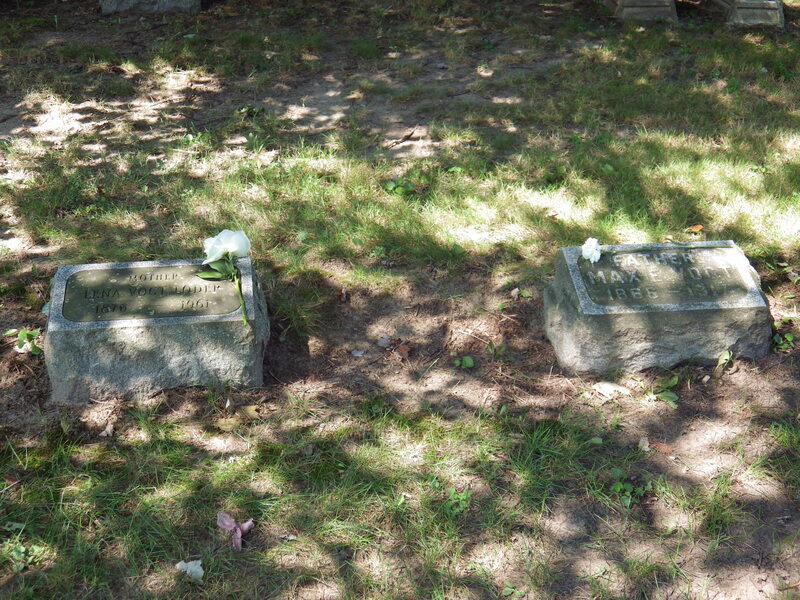 Both Max and Lena are buried in Fairplains Cemetery, Grand Rapids, Michigan. Many of the Brandaus are buried there as well. 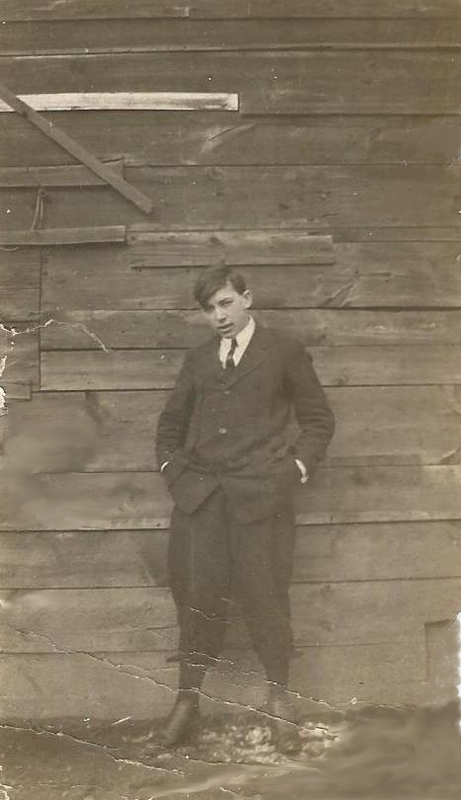 The following pictures were taken in 1913 of John Roetman at the Vogt’s.